Libby Klein graduated Lower Cape May Regional High School in the '80s. Her classes revolved mostly around the culinary sciences and theater, with the occasional nap in Chemistry. She has worked as a stay at home mom, climbing the ranks to the coveted position of Grandma. She also dabbles in the position of Vice President of a technology company, which mostly involves bossing other people around, making spreadsheets, and taking out the trash. 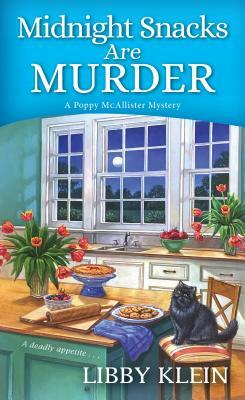 She writes culinary cozy mysteries from her Northern Virginia office while trying to keep her cat Figaro off her keyboard. Most of her hobbies revolve around eating, and travel, and eating while traveling.